I live where it gets really, really cold in the winter, so sometimes it's nice to get out of the house for a date rather than sitting and watching tv all day. Here are some of my tried and true ideas to keep you and your lover occupied this winter. Ice Skating. Do a quick Google search and you will probably find multiple ice skating rinks in your area. There are several near me that are set up just during the holiday season. Take a weekend trip. Every year my boyfriend and some of our friends take a weekend trip somewhere fun. The last few years we have gone to Chicago, because it's not too far away but it's so different from where we live. Go see a movie. This is one of my favorites, because you still get to snuggle and be cozy but you also get to leave your house. Something about seeing a movie in theatres makes me so happy. We have a movie theater with recliners for chairs near where I live, and it might be fun to see if you do too! Go ice fishing. My boyfriend said I should include this....I'm not much of an outdoorsy girl, but I will admit that once in a while it is really fun to go ice fishing, especially since my boyfriend loves doing it so much. I guess what I'm trying to say is that even if it's not ice fishing, do something that is a little out of your comfort zone. Set up a Christmas tree and decorate! This is more applicable if you live together, but if you don't, it would still be fun to decorate each others bedrooms. Even though it's after Christmas, you can still redecorate your room or your apartment. Movie marathon. Order pizza, rent some movies, and spend all day in your pajamas watching movies. This is my all-time favorite date! Make a gingerbread house. This is always a fun one. You can DIY one with graham crackers, frosting and candy, or you can pick up a cheap one from Walmart. Bake Cookies. This is so inexpensive and you probably have most of the ingredients in your kitchen already. Not only is it fun to bake cookies, but you have a delicious snack to eat after! Make an ornament. 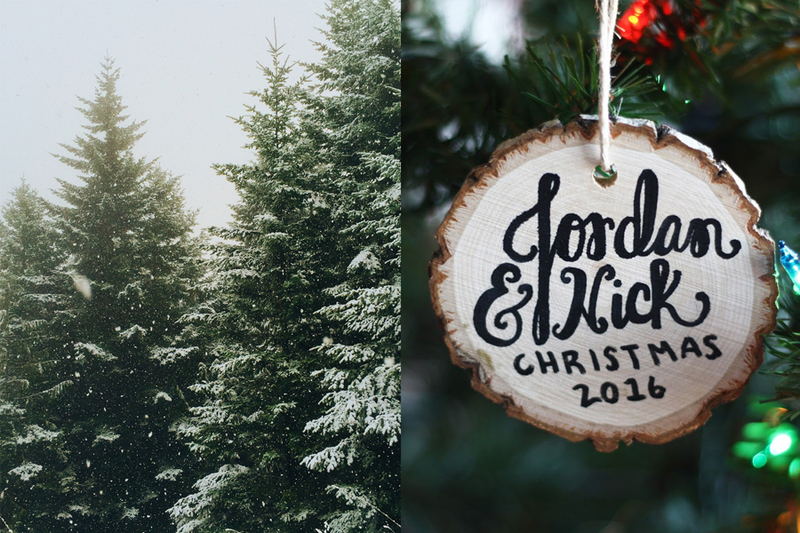 Nick and I make an ornament every single year and they are so sweet to look back on. The best part is that you can make them as simple or complex as you want. Drive around to see Christmas lights. The zoo that is nearest to me does a Christmas light display, and a park by me does this as well. Do a little research to find fun places you can drive/walk through to see all of the pretty lights.